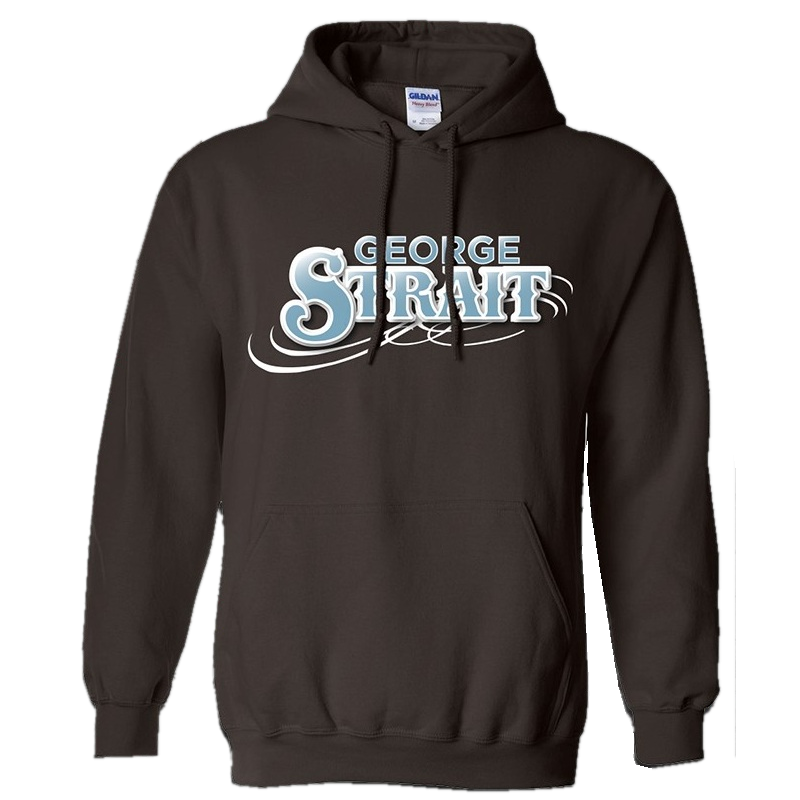 George Strait 8.0 oz., pre-shrunk 50/50 cotton/polyester dark chocolate pullover hoodie. Front pocket pouch. George Strait logo on the front.